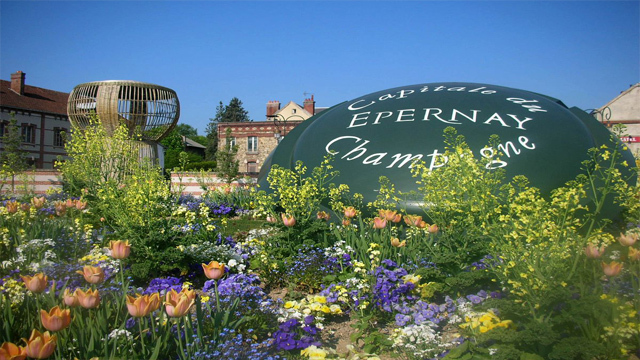 Arriving in the region of Champagne, we will start with the Champagne Route. 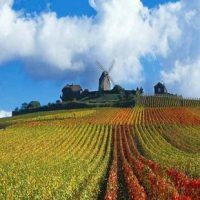 We will take you to the Côte des Blancs for a tour of some of the most famous “Grands Maisons de Champagne”, such as: Bollinger, Gosset, Deutz, etc. 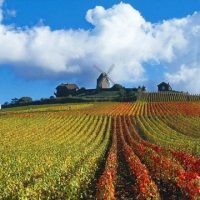 On the way the landscape is brightened with beautiful Grand Cru cities like Ay, Hautvillers, Bouzy, Le Mesnil, Vernezay, etc. 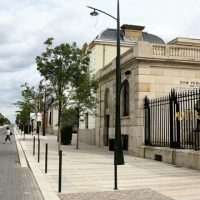 Walk along the “Avenue de Champagne” in Epernay. 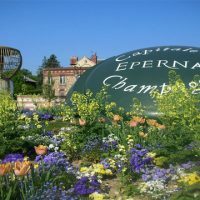 Located in the heart of the city, Epernay is internationally known as the “Capital of Champagne”. 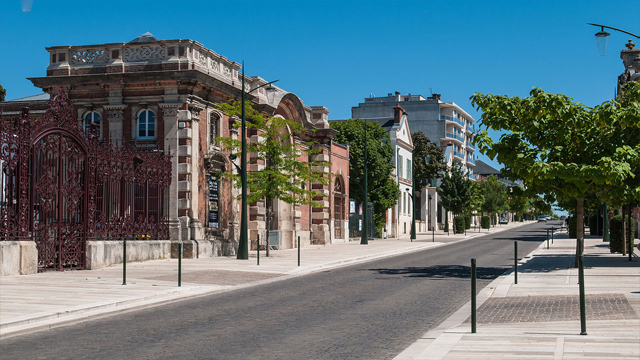 The impressive main boulevard of Epernay appears as an exhibition of opulent mansions housing the most illustrious Maisons de Champagne: Moët & Chandon, Perrier Jouet, Mercier, etc. 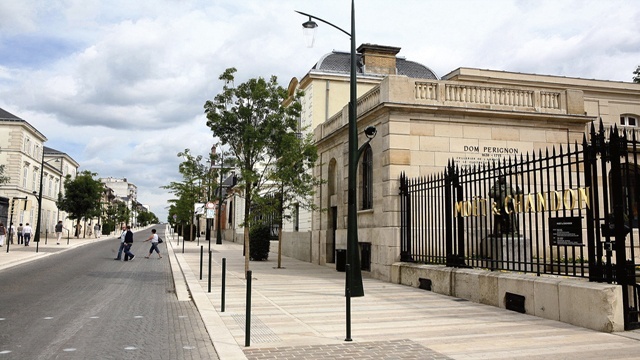 Guided tour and tasting at the famous Grand Maison de Champagne Moët & Chandon. Founded in 1743 by Claude Möet it became in 40 years the first international brand in the world. Its history is linked to some famous figures, like Napoleão I. 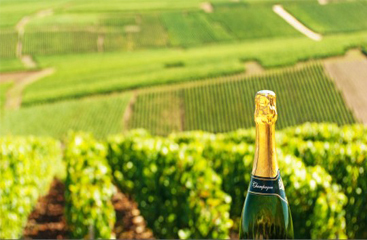 In the afternoon, we will discover another face of Champagne: visit and tasting in a small winery. After lunch, we will take you to the Marne Valley on a journey through the vineyards to meet another prestigious figure: Dom Pérignon, who finished the process of making the champagne. He contributed to the fame of Champagne and is now buried in the church of the former Benedictine abbey of Hautvillers. 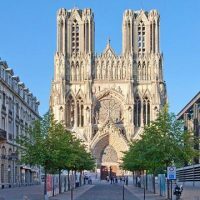 Listed as a Unesco World Heritage Site, the 13th-century Notre-Dame Cathedral in Reims is one of Europe’s most important Gothic structures. Be captivated by the unique stained glass windows and the exceptionally rich statuary – over 2 300 statues, among which is the famous smiling Angel. It is here that King Clovis was baptized around 498 giving birth to the Kingdom of the Franks and beginning a long and enduring tradition: with the exception of two, all the kings of France were crowned here! Guided tour and tasting at the world-famous Grand Maison de Champagne Veuve Clicquot. House founded in 1772 by Philippe Clicquot and his widow Barbe Nicole Clicquot Ponsardin. For a while, take a dip in the heart of this House, its heritage, its savoir-faire. And discover the process of manufacturing cuvées. Tour and champagne tasting Brut Yellow Label cuvée. 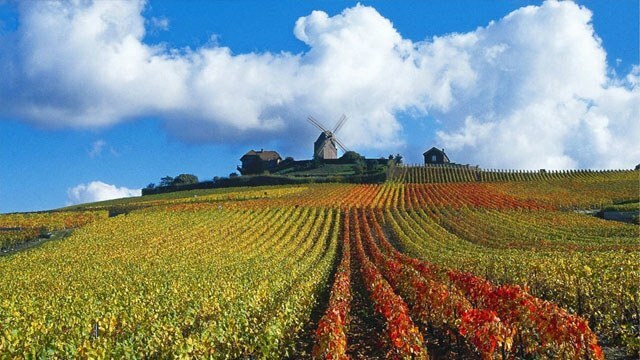 After lunch we will take you to the Montagne vineyards of Reims. 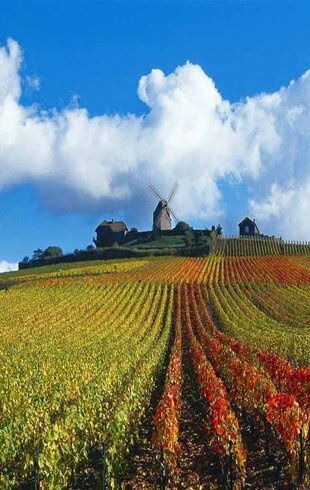 9 out of 17 grand cru villages throughout the Champagne region are located on the Montagne de Reims and in its surroundings. Its terroir gives a very special character to the champagne. 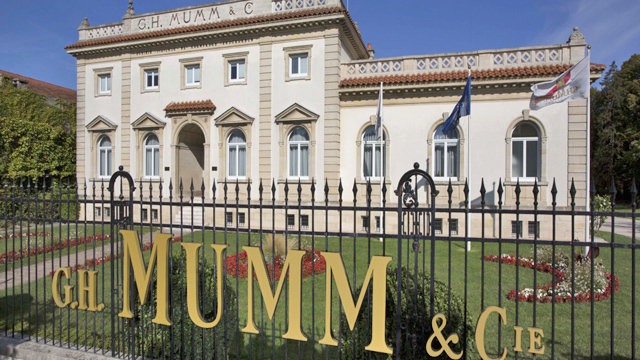 Maison Mumm was founded in 1827 and is the champagne used on the podium of Formula 1 races. In addition to the historical visit of the cellars where the complete process of the manufacture of champagne can be seen, we will taste the prestigious champagne Cordon Rouge. Through more than 1500 pieces of heritage from the cooperative archives (posters, objects, photographs, films, postcards, commercials, press …), gathered and highlighted, presented in their historical context and especially in perspective to better understand this unique saga of Champagne. 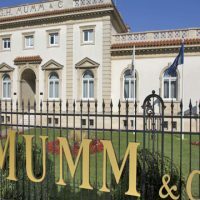 The museum is organized into six great periods illustrated in six different spaces. A visit that traces the journey of the great men who marked their history and who remained faithful to the cooperative model throughout the century. Until the Middle Ages, in the countries of Christendom, it is the religious who care for the vine: wine is consecrated and drunk during the mass. The meeting of geography and history will offer the wines of Champagne an extraordinary destination. 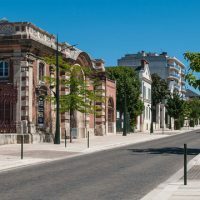 In fact, it is Saint Remi, bishop of Reims, residing in a village surrounded by vineyards near present-day Epernay, who baptized Clovis when he converted. The first king of France was thus crowned in Champagne and the wines of Champagne consecrated on the eve of Christmas of 496. A few centuries later, Jeanne de Navarre’s marriage to Philip the Fair, definitively associated the destiny of the county of Champagne with that of the crown of France. 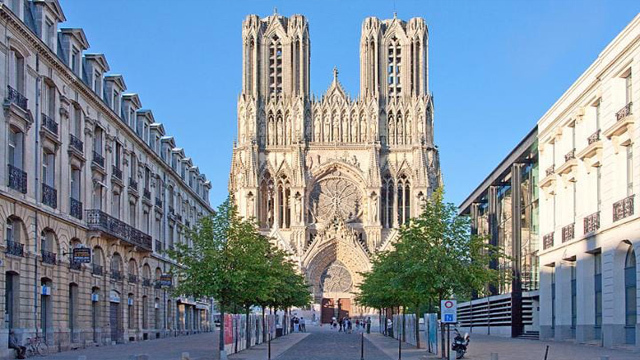 From 898 to 1825, it is in Reims, in the heart of the Champagne region, that the kings of France will be crowned. The ceremonies, according to the reports that were made of them, were all accompanied by parties in which the champagne wines flowed freely. Very quickly appreciated for its taste and finesse, these will be the wines that are offered in honor of the monarchs who come to the region. Francis received several “plays”, as did Maria Stuart, passing through the city of the coronation; we speak of hundreds of pints offered to Louis XIV for his coronation. From the twelfth century, the reputation of Champagne wines crossed the borders and its prestige continues to grow. Thus, July 14, 1790, for the Federation party in the Champ de Mars, only Champagne is considered worthy to encourage the revolutionaries. A few years later, all the princes present at the Congress of Vienna say the omnipresence of Champagne from September 1814 to June 1815. From supper festivals, Congress has fun “spirit shone like champagne” and was the first unifying link of the participants. Champagne subsequently consecrated many major treaties, and just recently, that of Maastricht. It is always demanded by all those in the world who want to emphasize the importance of a historical moment. Even Queen Pomare of Tahiti, like Pierre Loti, Champagne demanded more funds to mark the consecration of a pagan temple on the island. A symbol of excellence, Champagne has always been on the menu of royal weddings for two centuries. He was the magical and spectacular guest of the great world expositions of 1889 and 1900 in Brussels and Paris; and over time, he confirmed his image of exceptional wine. Today, more than ever, it is always your business that is called when it comes to distinguishing the rarity or grandeur of an event. Since Clovis, the wines of Champagne have remained associated with baptisms: it is they, and only they, that invites themselves to devote the happiness of the first times. It is not given to all the wines that come to bless the hull of the most beautiful boats in the world at the time of its launch. It is called Great Britain in 1843, France or … My dream! It was obviously there during the Concorde’s inaugural flights and at the time of the joining of the French and English sections of the Channel Tunnel. Certainly it was cool when Maurice Herzog shared with his team “the” bottle of victory after the rise of Annapurna. He has also drunk champagne Pierre Mazeaud in 1978 on the summit of Everest, as he had before him the yellow team Cruise André Citroën on the roof of the world in 1931. It is a beautiful first time for Jean-Loup Chrétien as his journey in the Soviet space capsule. Almost back to earth, he claims a glass of champagne, true to a tradition pioneered by aviation pioneers. At the Conciergerie in 1793, Philippe d’Orléans waited to appear before the revolutionary tribunal. Eager to enjoy his last moments, he quietly demands to appreciate a few bottles of the wine of kings. Some years later, Napoleon is in Russia; he defeats the Tsar’s army in Smolensk. Local nobles console themselves with “delicious though French” champagne. Whether they are really rare or lived as such, it has become customary to dedicate them to Champagne. Sporting wins, for example, have become an opportunity to generously shower champions and audiences and enter the legend with a mythical bottle in hand. Lonely and brave, Gérard d’Aboville, forced to drink water for 72 days at sea, immediately tasted Champagne upon his arrival. Like all over the world, all the great or modest heroes who want to devote their exploits. The bubbles of champagne invite themselves to the tables of those who shine. Some do not hide that they can not be without the famous drink. Marlène Dietrich writes in her memoirs that she loves Champagne because “it gives the impression that it is Sunday and that the best days are very close. ” Greta Garbo in “Ninotchka” succumbs to the delights of champagne and luxury wines, while playing a Russian visiting Paris; Audrey Hepburn, Jeanne Moreau, Marilyn Monroe or Juliette Binoche, among many others, are heroines in love with Champagne. Mistinguett, Maurice Chevalier sang and celebrated, Jacques Higelin and Serge Gainsbourg as well. From early on Champagne wines have traveled. 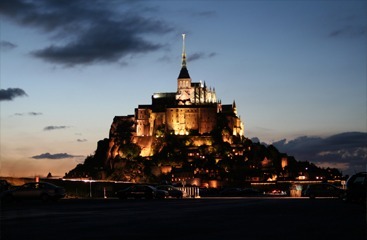 The stubborn and adventurous Champenois made them known on every continent. The first, the English are in love. Whether in court or in dandies like Brummell and Sheridan, they are claimed as a “must”. When Czar Alexander I organized a dinner that lasted four days in September 1815, during the military parade of the Vertus Field, 300 seats were served at the rate of a menu prepared by the French cook Carême and the wines of Champagne is the main side dish. Some years later, on the Californian shores or in New York, we sang and danced with the cup in our hands. 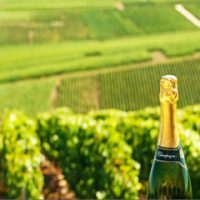 Everywhere in the world, since the beginning of the 20th century, Champagne wines have earned the reputation of being the ideal wines for happy encounters to which class and blessing should be given. So, inevitably, when General Eisenhower set up his headquarters in Reims in February 1945, it is obvious that it is with Champagne that he celebrates Liberation! And what a party! Since the beginning of the 20th century, the wines of Champagne have definitely become the wines that gather, participate and guarantee a joyful conviviality. In recent years the feasts are imperial like the Shah of Iran to commemorate the 2500th anniversary of the creation of the Persian Empire in the ruins of Persepolis or more democratic like the Bicentenary of the Revolution or the opening of the soccer world cup 98, we do not conceive without champagne. They sponsor major film festivals, cultural exhibitions, sporting events, celebrations, birthdays. Following the most beautiful festivals, the wines of Champagne have also become the privileged wines for the year-end celebrations. What includes the Champagne Private Tour?